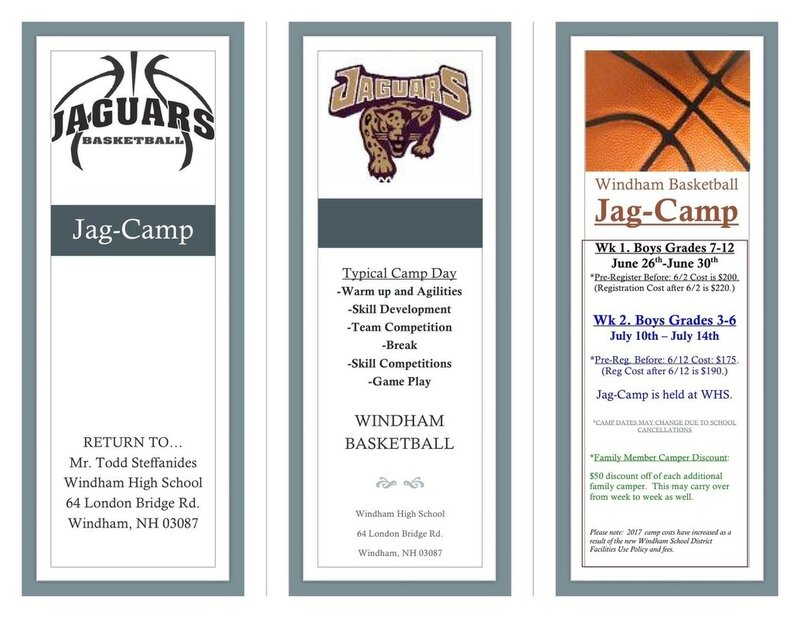 Several Jaguar summer camps are being planned across various sports for summer of 2017! ​Check back often for new additions! 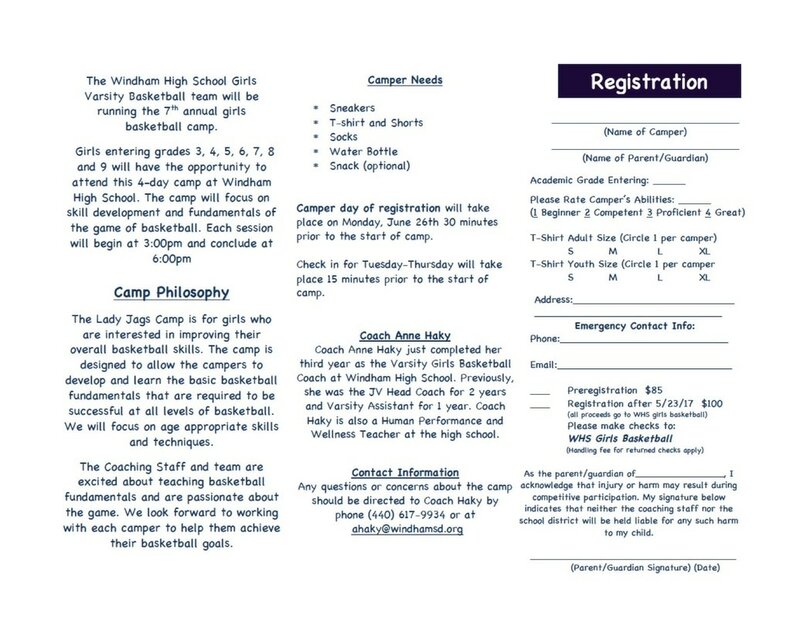 ​Run by WHS Coach Steffanides, this popular camp provides outstanding skill development, team building, and lots of game play! Register: Print the registration form and mail to Coach Steffanides, 64 London Bridge Road, Windham NH 03087. 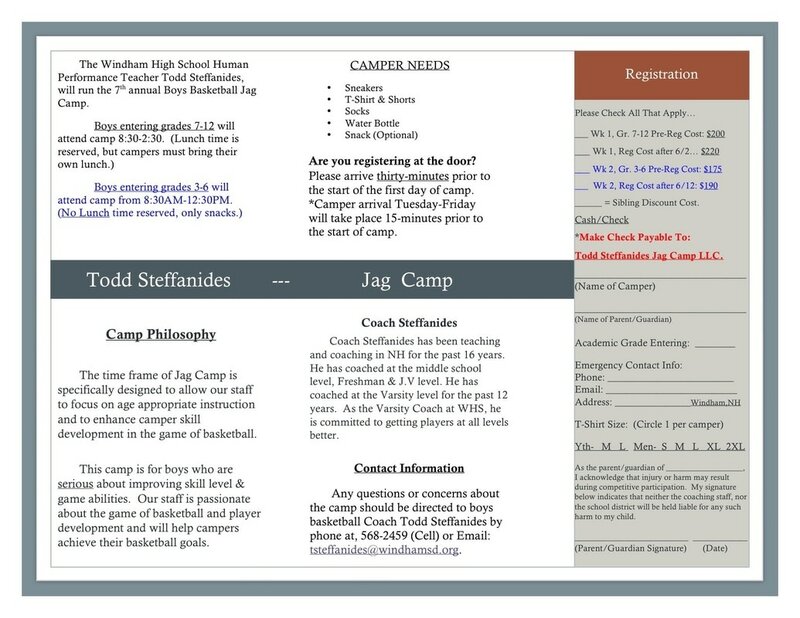 ​Run by Coach Haky and the WHS basketball staff, this camp provides outstanding skill development, team building, and lot of game play! Questions? 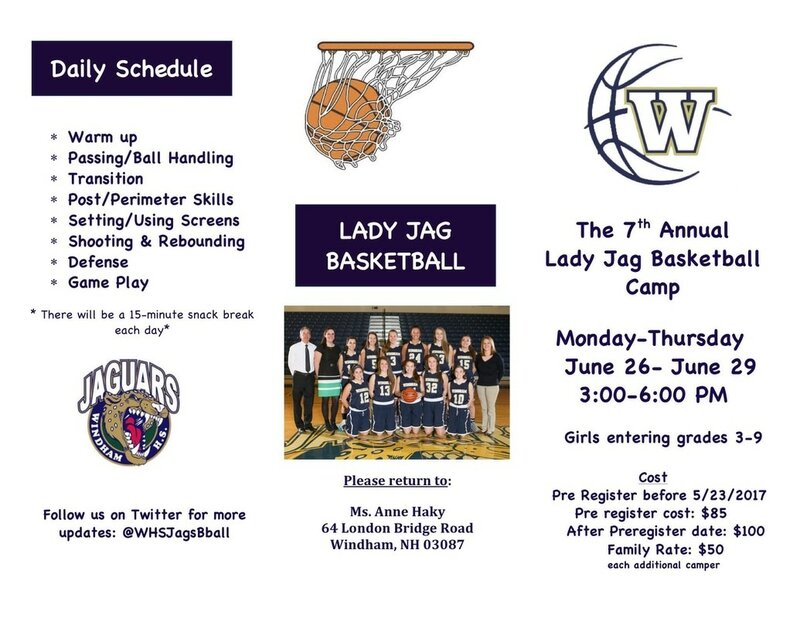 Email Coach Haky at ahaky@windhamsd.org​.